Who Is That Rolex Mystery Girl? 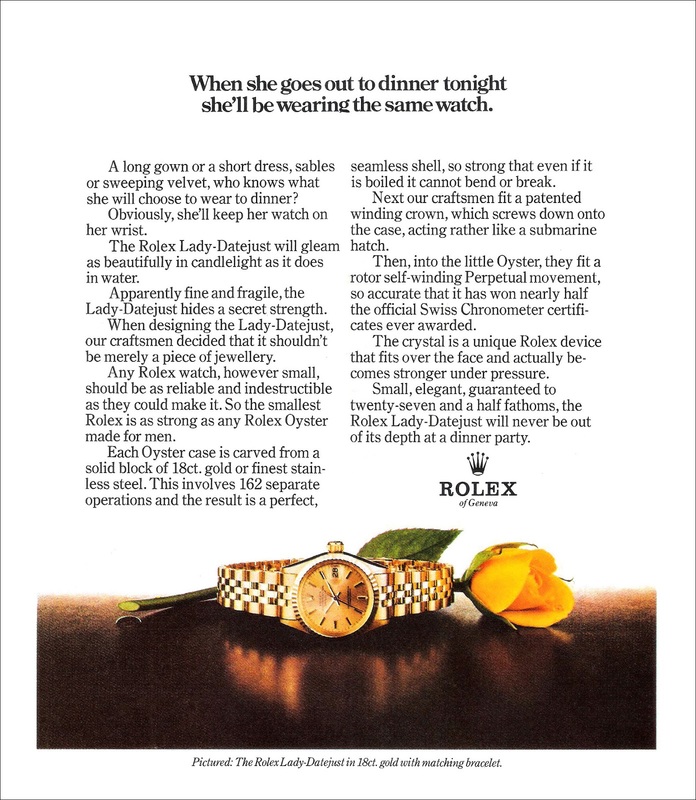 One of my absolute favorite things to explore on Jake's Rolex World, is vintage Rolex magazine ads. I have mentioned in the past, in many ways they seem like high-art to me. The following Rolex ad was just sent in from a reader of Jake's Rolex World who was so inspired by the vintage Rolex ads he saw on Jake's Rolex World, he decided to start collecting them, and he sent in this one, from 1974, which was a different variation of a similar ad from 1970, which I included at the bottom of this post. I absolutely LOVE this ad, and in particular, I LOVE the writing seen in the second page of this ad, which is seen below. 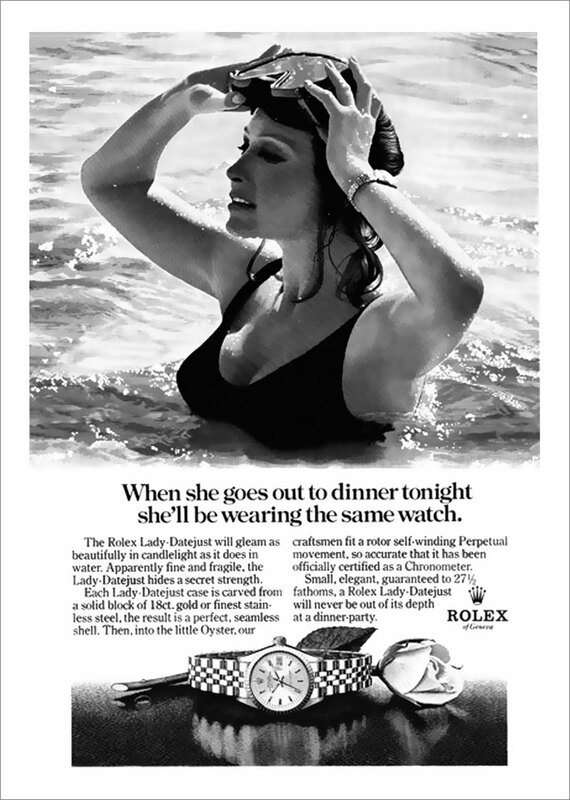 So who is the fantastically gorgeous Rolex mystery woman in early 1970s vintage Rolex ads pictured above and below? It is Jill Saint John, who starred in the 1971 James Bond movie, Diamonds Are Forever. Jill Saint John is pictured below with Sir Sean Connery, in a photo from the James Bond film. Below, we see the original 1970 black & white version of the 2 page color magazine ad spread from 1974, which is pictured above.